Now, I’ll be honest, I’m not one of those amazing solo-travelers that have a gazillion packing hacks, but I do pack wisely and not just throw everything in my suitcase as I once used to. Beach sandals/flip flops - I like buying beach towels as a souvenir! Beach extras - for a short trip like the one I’m doing to Miami, I didn’t pack any extras. But, usually I try to make sure to bring some beach toys such as beach paddle raquets and some GOOD READS. My favorite part about traveling is picking out my outfits!! I think my most productive skills come to play in this area lol as I like to pack stylish, practical and comfortable outfits. There you have it! 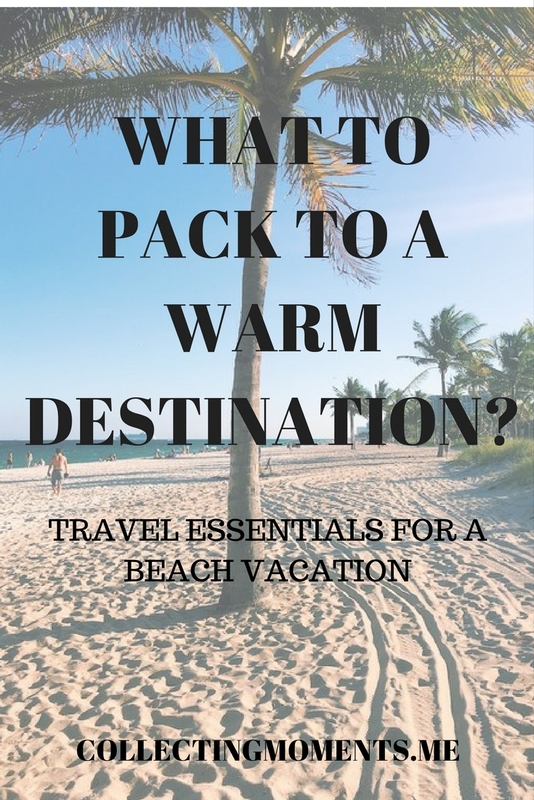 Next time you’re planning your vacation to a warm beach destination, take a look at these checklists and make sure you don’t forget anything. What else do you guys always take with you? Should I add anything else? Remember to share and follow all my social media channels!